Space Exploration Technologies (SpaceX) is now one more step closer to sending astronauts to orbit. 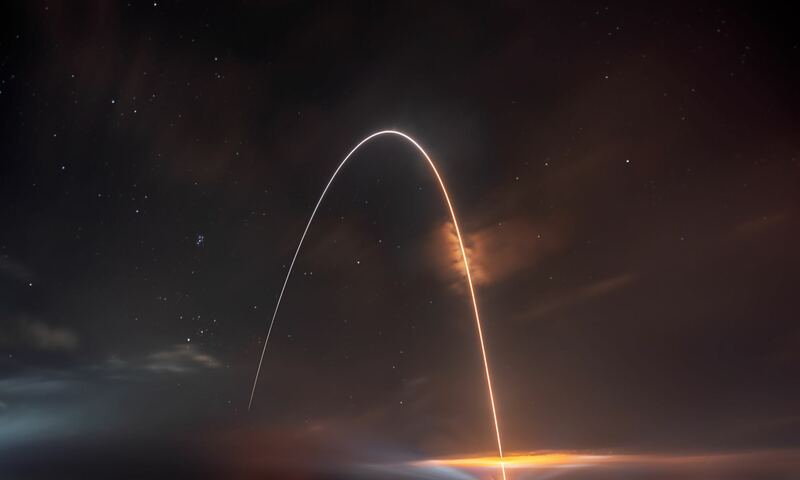 The commercial space firm announced today that it has completed a successful review of the company’s launch abort system (LAS). SpaceX’s LAS, dubbed “DragonRider” is designed differently than abort systems that have been used in the past. The first review of the system’s design and its subsequent approval by NASA represents a step toward the realization of the space agency’s current objective of having commercial companies provide access to the International Space Station (ISS) while it focuses on sending astronauts beyond low-Earth-orbit (LEO) for the first time in four decades. “Each milestone we complete brings the United States one step closer to once again having domestic human spaceflight capability,” said former astronaut Garrett Reisman, who is one of the two program leads who are working on SpaceX’s DragonRider program. With the space shuttle program over and its fleet of orbiters headed to museums, the United States is paying Russia an estimated $63 million per seat on its Soyuz spacecraft. SpaceX has estimated that, by comparison, flights on a man-rated version of its Dragon spacecraft would cost approximately $20 million. Despite the dramatically lower cost, SpaceX has emphatically stated that safety is one of the key drivers of its spacecraft. SpaceX had already met three of NASA’s milestones under the Commercial Crew Development (CCDev) contract that the company has signed into with the U.S. space agency. With the Preliminary Design Review or PDR completed of the abort system SpaceX can now rack up another milestone that it has met. Unlike conventional abort systems, which are essentially small, powerful rockets that are attached to the top of the spacecraft, Dragon’s LAS is actually built into the walls of the Dragon. This is not an effort just to make the spacecraft’s abort system unique – rather it is meant as a cost-cutting measure. The Dragon is intended to be reusable, as such its abort system needed to be capable of being reused on later flights as well. Traditional LAS simply do not allow for that. With every successful launch by conventional means – the LAS is lost. SpaceX is also working to see that this system not only can save astronaut lives in the advent of an emergency – but that it can actually allow the spacecraft to conduct pinpoint landings one day. Not just on Earth – but possibly other terrestrial bodies – including Mars. To date, SpaceX has launched two of its Falcon 9 launch vehicles. The first occurred on June 4 of 2010 and the second, and the first under the Commercial Orbital Transportation Services (COTS) contract took place six months later on Dec. 8. This second mission was the first to include a Dragon spacecraft, which was recovered in the Pacific Ocean off the coast of California after successfully completing two orbits. Where are you getting your info that a test was performed? Other sites are just reporting that PDR was approved by NASA. SpaceX press release just said PDR complete and nothing about a test. I think Ben is right, check out the SpaceX press release: http://www.spacex.com/press.php?page=20111020 . It was just a preliminary design review. Great effort. reaching the ISS at such a reduced cost as $ 20 m a seat is to be commended. This shows that once the right conditions are created commercial companies will not be far behind in space. Congratulations “DragonRider”. I’d like to know how the above story (unless you are referring to another one) misled you to believe that SpaceX claimed to have recently performed a test. The following statement (taken from the story above) does not mention a test. “COMPLETED A SUCCESSFUL REVIEW” That’s their claim. In fact, the word “test” is not used even once in the entire story (above). You think Ben is right. About what, specifically? Certainly not by refuting their claim of a recent test, because they don’t even mention one. I saw this article right after they posted it and it said “completed a successful test” and they said “test” at least one other time. Since then, and before you read the article, they realized their mistake and changed it to “review” without posting a retraction, an apology, or redacting their mistake with strikethrough in the article. This is why it looks like I am wrong. I’m trying to find the archive of the original article now. What’s cool about the LAS is that it is, like the Dragon capsule, reusable. AND can be used for controlled landings on the Moon or Mars. These guys are thinking! The Space Shuttle had ZERO fallback for rocket failure during most of it’s launch… The solid rocket SRB’s couldn’t be shut down, and there was no recourse after orbiter engine or external tank failure…. Since no one now working at NASA has ever designed a successful launch vehicle or manned spacecraft, perhaps NASA shouldn’t be setting the rules for it’s competitors. Why do you say SpaceX is dependant on NASA for funding? Everything I’ve read is that they are operating in the black as is, even without any of the NASA funding they have so far received. I have no inside poop on SpaceX financials.. however, since they have still not flown a paying commercial or military payload, one reasonably suspects they need/appreciate any US Govt funding. I hope (against hope) that our Fed Govt can switch resources/funding from NASA (which has not been so productive in the past 40 years), to directly funding successful private enterprise like SpaceX… and since NASA can’t lead, if it won’t follow, it will at least GET OUT OF THE WAY. According to SpaceX they have been in the black since 2007 due to paid customers (40+ launches lined up according to the article/press-release). I’m sure you are right that they would accept NASA/.gov monies, but they clearly aren’t relying on them for anything. They appear to be selling launch services, and doing quite nicely on it. The lack of commercial launches to date is most likely due to the customers not having their payloads ready. Check the SpaceX site to see their published schedule. Looking at the firing angle on the picture of one Dragon landing on Mars which looks like 45 degrees to me, and the multiple failures the system must support, which means it must work with 6 of the 8 thrusters, and what I think is the minimal acceleration the dragon must have when escaping (3gs I think) and its fully loaded weight of 10 tons, I find each thruster must at least be capable of producing 72kN at sea level. Considering Musk said the thrusters burn MMH and N2O4, the most advanced example of such an engine I can find on the ‘net is the Astrium Aestus RS-72 which measures 2 meters and produces 55kN with the extended bell and in a vacuum (http://cs.astrium.eads.net/sp/launcher-propulsion/rocket-engines/aestus-rs72-rocket-engine.html). How will they solve the puzzle of fitting EIGHT of them inside the walls of the tiny dragon? I wonder. While the Dragon picture shows 2 thrusters per station firing, I think I see that there are actually 4 thrusters/station, with 2 idle in the picture. That probably changes the calculation… as a single thruster failure only loses 25%. Also, I can believe that for such a rare/short term event as launch escape, a criteria of double component failure may not apply..
Also, the thrusters inhabit a portion of Dragon outside the pressurized portion. There are four thruster ports, but only the center two are for DragonRider. The left and right ports are for rolling the spacecraft. Most likely, seeing that otherwise scaling the Draco’s would be over several orders of magnitude which is risky. Using LAS is already a failure mode, so perhaps one failed engine would constitute double failure and you don’t have to ensure against further fails to pass the requirements (until you drop below 1-2 g acceleration). More importantly here, you wouldn’t care much if the exit from the danger volume is of uncontrolled directionality, anything is better than staying. That reasoning may apply for descent. But likely they don’t drop the chutes until all engines are thrusting and you have to have two engines fail for double failure. Umm.. since the Dragon capsule has passed the LAS PDR, don’t you think the engineers have worked this out? I mean, it’s not like NASA is fooling around here… After all, that’s the whole point of the PDR. That doesn’t compute for the LAS application. The unloaded Dragon masses ~ 4 ton and have 10 m^3 pressurized volume. You can only pack 6 tons of load into that if it consists of half water. I’m pretty sure most of the maximum cargo mass is in the unpressurized cargo trunk, and that is left behind. So say the Dragon masses ~ 6 ton during LAS. The LAS/landing thrusters for DragonRider is said to be upscaled Draco maneuvering thrusters (which share the hypergolic fuel), so separate 4 engines. That would mean 6 ton @ ~ 3 g (Apollo’s LAS pulled ~ 6 g, but were uncontrolled) or minimum F ~ ma ~ m*3g ~ 6*10^3 * 30 ~ 200 kN or ~ 50 kN/engine. A Draco thruster delivers ~ 0.4 kN [Wikipedia], so they need a hefty upscaling of ~ 120x. Or more likely, they use 4 pairs or triples. But that isn’t with 2-3 m engine bells (which are optimized for near vacuum work btw), the RS-72 masses in at ~ 150 kg with those, I expect these thrusters can be smaller and optimized for Earth low atmosphere LAS/descent which is the most arduous task. So, NASA’s space shuttle cost $1.5 billion/6 = minimum $250 million per productive seat…. $250 million down to $15-$20 million per seat… WOW.. If we can just stop Congress/NASA from blowing $100 billion on another unneeded/wasteful Govt booster(SLS), we can leverage commercial boosters and competition for another (40 years late) exciting new era of American manned space science, technology, exploration. P.S. Don’t forget the ‘Pork’… the ‘other’ kind of meat. I yam curious about that first image.. it shows a Dragon capsule during a launch abort using it’s on-board thrusters to separate from a Falcon booster. I will assume that this is a ‘doctored’ image, correct? as I am not aware of an actual launch to test this system. i.e. Ain’t Photoshop wonderful…. All though many fans of Virgin Galactic’s sub orbital flight system only takes passengers as far as Alan Shepard went in 1961. This system looks as if when seems to be able to do as much as John Glenn did in 1962. and that is orbit the earth. For the next few years Dragon X will be able to preform much of what the Gemini program accomplished. They may dream of the Moon one day, first they need to establish orbital flights as something normal and routine. Before 2015 they can vacuum up the other Space wannabe company’s that fail and build a bigger and stronger Corporation. In 2015 then they can start racing China to the Moon. Who knows by 2020 they can replace NASA’s Constellation Program that came from Lockheed Martian, and what my brother use to work on at the Denver plant. We can either now start regulating Earths population or we can start venturing into space an make sure humanity does not join the Dinosaurs. If we do head for space The Great Bird of the Galaxy’s dream may start coming true. If you do not know who the Great Bird is. think Star Trek. And if you still do not know this person is Gene Roddenberry. You are wrong there… remember that the first manned flight of Saturn V went around the moon…. Von Braun: “once you decide to man a Saturn V, it doesn’t matter how far you go”…. That is gross, criminal STUPIDITY, WASTE…. what Govt is BEST AT. PDR passed and next step building and testing hardware. This is a great step forward in returning the US to manned flight. 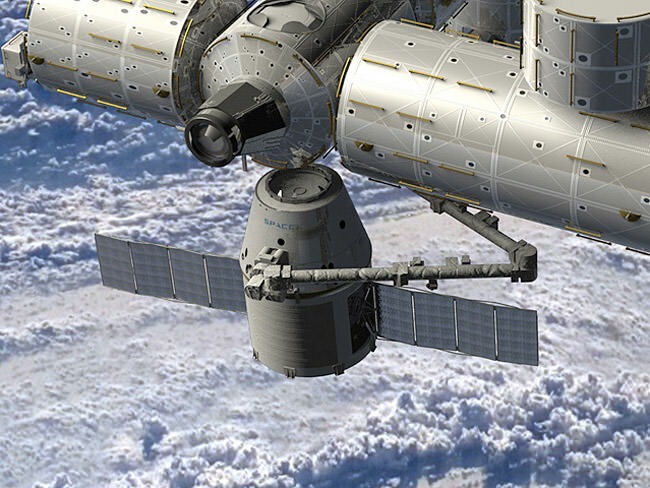 If NASA fully supports SpaceX Dragon rider could be flying by 2014 as SpaceX have stated converting dragon to man riding would take 2-3 years from funding the LAS developement as the longest lead time item. 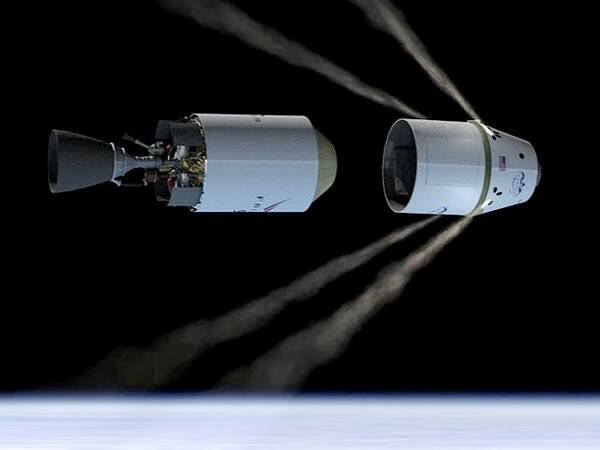 In addition Dragon could fly now with the same or slightly better safety as the space shuttle but SpaceX and NASA believe it is better to wait for a safer system. 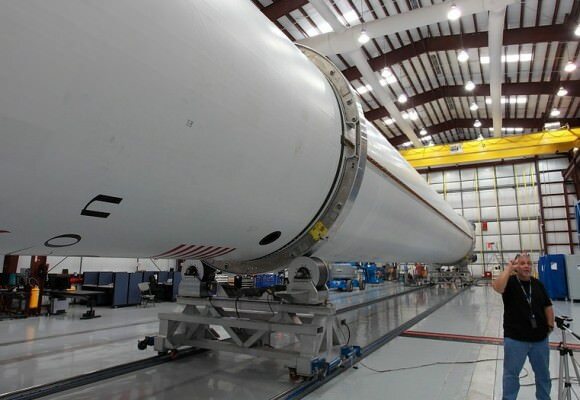 At $140 million per flight it is cheap but SpaceX is working to lower that cost by making Falcon 9 re-usable. If Congres was serious about spaceflight they would be spending money at SpaceX for fixed achevements rather than wasting billions on SLS/MPCV on cost plus pork that will not achieve anything usefull.